A number of airlines fly directly into Sunshine Coast Airport at Maroochydore. Depending on your start and end points, it’s only a 1-1½ hour drive from Brisbane, and 2-2½ hours from either Gold Coast or Hervey Bay. Visitors are definitely spoilt for choice – to borrow a cliché, there really is something for everyone on the Sunshine Coast. EXPLORE beachfront villages, coastline, national parks, rivers and waterways, hinterland communities steeped in history, all with a relaxed and casual lifestyle and friendly, welcoming locals. EXPERIENCE a year-round events calendar full of sporting, social, community and cultural celebrations and events. RELAX and indulge in some much deserved R&R - lay on the beach, pamper yourself with a spa treatment, rejuvenate with a new hairstyle, meander along the river, explore rock pools, savour a long lunch ... or do nothing. INVIGORATE yourself with a hike in the national park, a round of golf, a visit to the gym, a jog, a horse ride on the beach, cycle along the river or even climb a mountain. TASTE all that the area has to offer from a wide selection of locally farmed or grown fresh, seasonal produce. CULTURE abounds with a dynamic arts and entertainment community featuring local artisans, musicians, performers, gallery collections and art spaces. ENTERTAIN yourself at any number of the region’s attractions, whether it’s a visit to the iconic Australia Zoo, exploring the amazing underwater world at Sea Life Mooloolaba, getting lost at Bellingham Maze, getting your ride on at Aussie World theme park, racing at the Big Kart Track, a visit to Top Shots Fun Park, meeting Moreton, the historic cane train, at The Ginger Factory, cheese making at Easy Cheesy, getting back to nature at Maleny Dairies Farm, just to name a few! 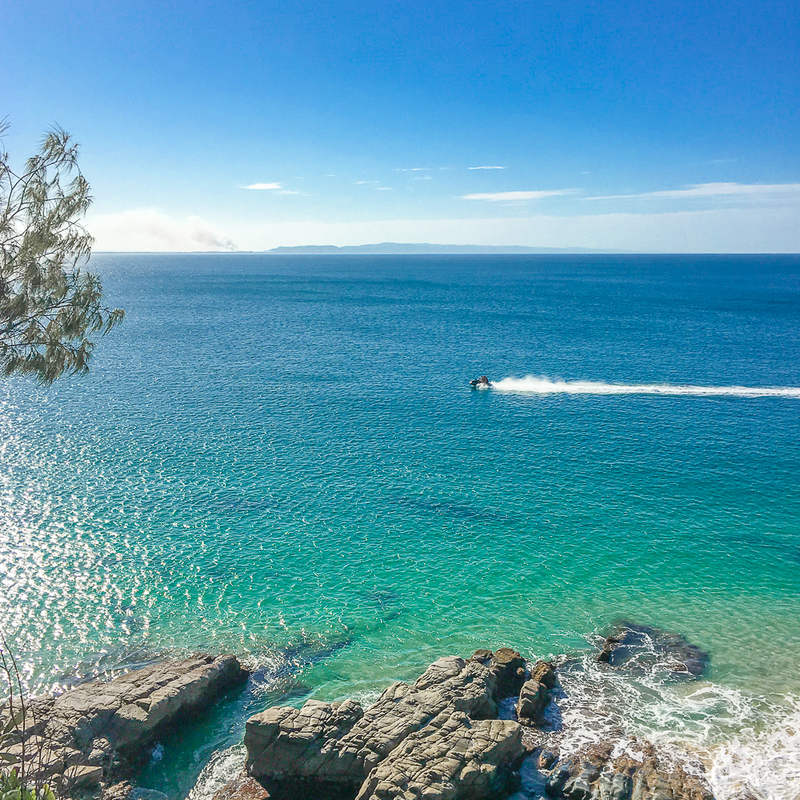 Known as the ‘jewel in the crown’ of the Sunshine Coast, Noosa hardly needs an introduction! Offering a diverse and wonderful experience for everyone who visits, it really is the perfect ‘getaway' whether you’re a family visiting for a holiday, a couple looking for a romantic retreat, backpackers searching for a new horizon, or a bunch of friends wanting to reconnect. Cafés, restaurants, boutiques, galleries, beaches, rivers, waterways, hinterland, adventure, culinary delights, indulgence, relaxation – you name it, Noosa offers it! If a little retail therapy is on the cards, shop till you drop at the many stylish boutiques, specialty stores, open-air markets, art galleries and local artisan displays. If you like the outdoors, be sure and go for a walk through the National Park, where a variety of tracks offer visitors everything from a leisurely stroll, to more challenging half day walks. 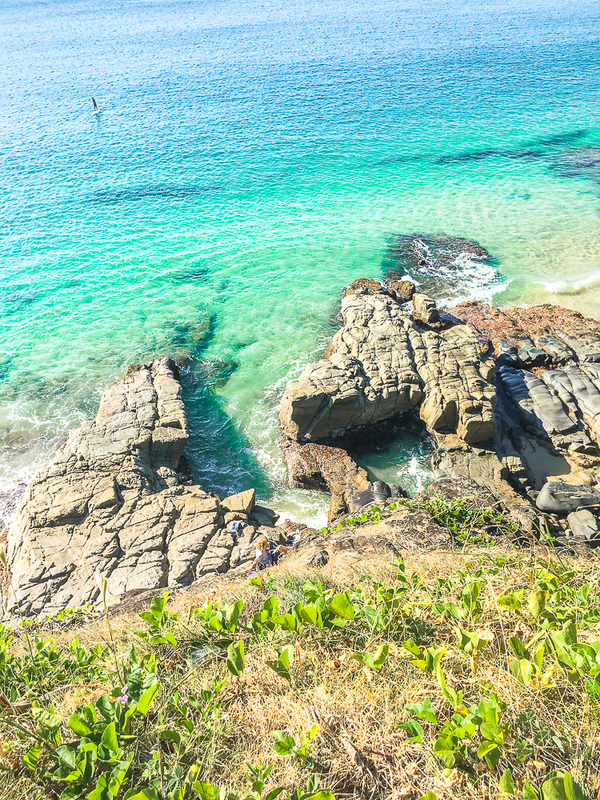 I’ve been to Noosa many, many times, however, had never visited the National Park! I remedied that this trip. 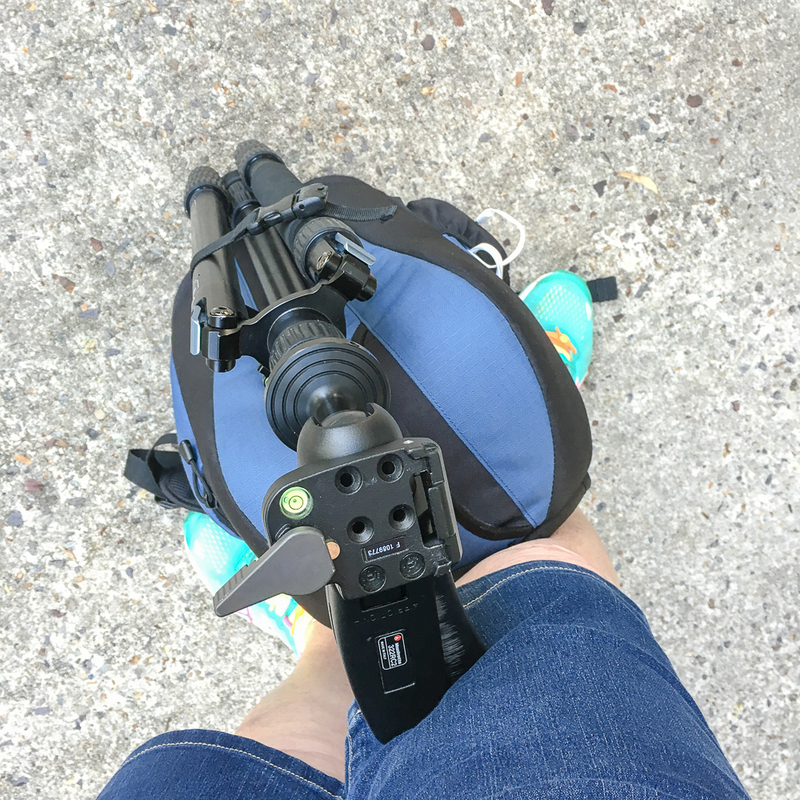 I slip-slop-slapped, donned my joggers, packed my camera gear, strapped on the tripod and off I went. I wasn’t after anything too strenuous considering the rigorous schedule I’d been keeping, so I did the Palm Grove Circuit (about half an hour at an easy pace on well shaded tracks). Then I decided to explore the coastline for a while on the aptly named Coastal Track … and what a beautiful piece of coastline it is! I wish I’d put my swimmers on because the crystal clear waters were so inviting at a number of places, and it was a rather warm day. I made it as far as Boiling Pot before I decided to head back and get changed for a well deserved refreshing dip. TIP! Make sure you take enough water for everyone. Some parts of the tracks are shaded, some are in full sun. And be mindful of how far along the track you walk, it's the same distance you need to walk back! You can literally leave your apartment or hotel room and be building sandcastles on the beach in less than 5 minutes! Recently voted the 6th best beach in Australia by TripAdvisor, the north facing Mooloolaba Beach is known as one of the safest, most beautiful and family-friendly surf beaches on the Sunshine Coast and is blessed with near-perfect weather conditions all year. It certainly lived up to that reputation the few days I spent there!! Make sure you also visit Mooloolaba Spit for calm, sheltered swimming and excellent seafood cafes. It’s also the perfect spot for a sunset and to watch the fishing or sailing boats returning! You’ll be with lots of families enjoying take-away dinner or firing up one of the BBQs for a quintessential Aussie meal! You can even try catching lunch or dinner yourself on a river or bay fishing charter. A stroll along Mooloolaba’s beachfront Esplanade is an absolute must. It’s full of outdoor cafes, juice bars, alfresco restaurants, fashion boutiques and malls, not to mention a buzzing, holiday atmosphere. It even boasts a public loo with a view of the Pacific Ocean! Wish I’d seen that! For those who love to get their heads wet, explore beautiful reefs and colourful fish species on a scuba diving expedition, dive the sunken wreck of the HMAS Brisbane or Flinders Reef. During winter, you wouldn’t want to miss a life-changing whale watching and whale swim tour to discover how intelligent these huge creatures really are. Or if you’re not quite that adventurous, visit the wharf and aquarium at SEAFLIFE Mooloolaba and swim with a seal. A visit to Mooloolaba is an aquafarian's dream! One of the best things about the Sunshine Coast is that it’s not only about the coast! Head north, south and west and you’ll experience scenic country roads, sweeping panoramic views, local artisans, history, locally made goodies, nature reserves, national parks, theme parks and much more. Continue on to Part 3 'Sunshine Coast Road Trip' where I visit Eumundi, The Ginger Factory, Mary Cairncross Scenic Reserve, Maleny and Montville ... all in one day!